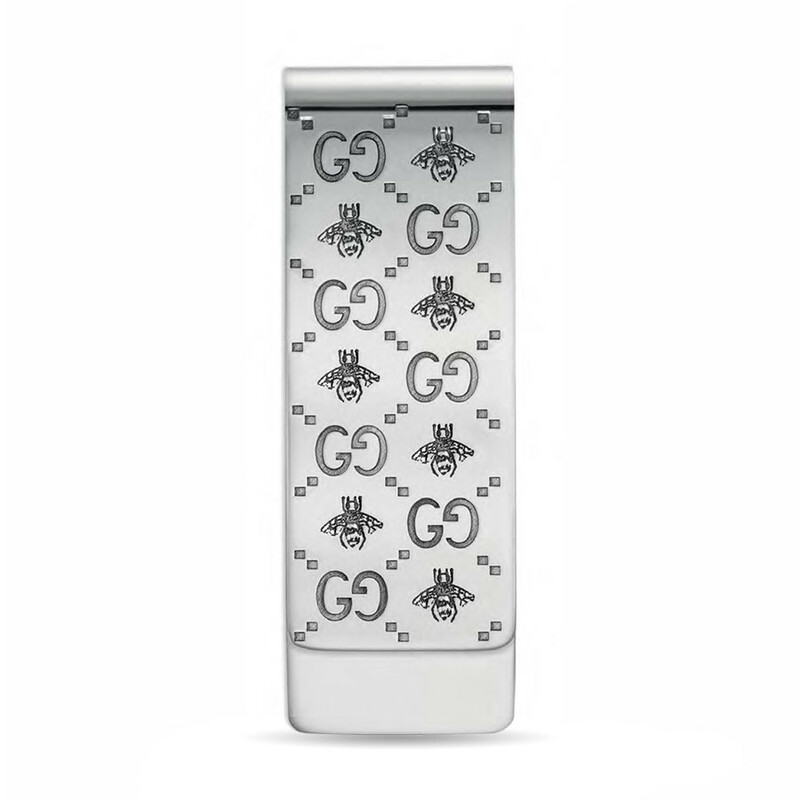 This money clip from the GucciGhost collection has an eclectic design. Crafted in sterling silver, it features a streetwise rendition of the brand's double G logo and bee detail that adds a terrific texture. Own an accessory that has a quirky luxury; own a piece of GucciGhost.